Since the beginning of my foray in makeup, I have been using Lancome's Hypnose Drama mascara (that's about 2 years). And I actually LOVE that mascara and would highly recommend it due to the fact that it does not flake, lengthens and volumizes the lashes and is super long-lasting. I have seriously slept in this mascara and contacts and wake up with no issues. No mascara burning my eyes or dried out contacts…. This stuff goes on and stays in place. And it is easily removed with eye makeup remover. I just love it!! Prior to my introduction to Hypnose Drama I tried a couple different drug store mascaras, such as Maybelline, Loreal.. And I hated them! I don't know what it is, but I couldn't wear these mascaras. My eyes and lids itch terribly when I have attempted these and I find that the formulas tend to flake all throughout the day. In my experience with drug store brands, I'd recommend them for a photo shoot or some other short event, but definitely not for an entire day. So, as I mentioned, I am really new to the whole makeup arena. And I should have stuck to what I know, but after running out of my last tube of Hypnose Drama, I went to the local Macy's and decided to see what MAC had to offer in mascara. I told the lady behind the counter that I wanted something dramatic: full and long! She said the In Extreme Dimension 3D Black Lash is what I was looking for. I paid about $22 and walked away happy with my purchase. The first application of MAC's mascara was decent. 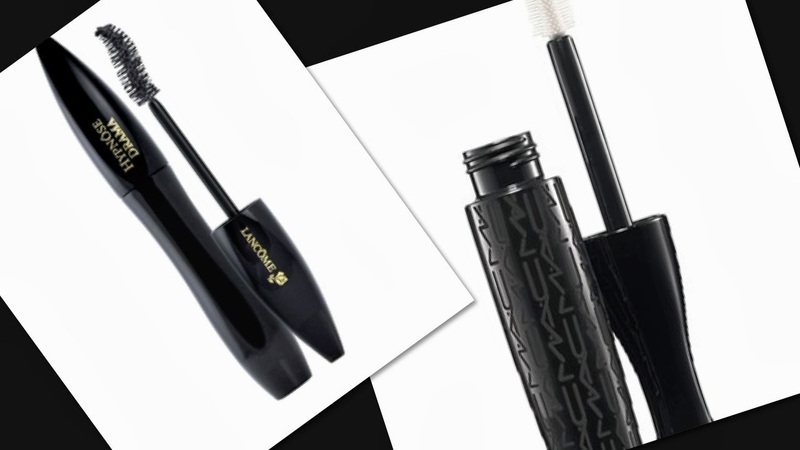 The formula is more moist…tacky than what I am used to with Lancome's Hypnose. And the brush is different: MAC's brush has very tiny/short bristles. Lancome's bristles are the standard length. I liked the result with one coat but wished for the lashes to be a bit longer and darker. I applied 2 coats and didn't see much of a difference at all with the addition of another coat. That was a bit of a bummer. With mascara more should mean MORE, right?? As for wear throughout the day, MAC's mascara seemed to NEVER really DRY! I have worn this mascara roughly 3 times since I purchased it and every time my hand gets near my eye it seems something like a disaster. I feel the wetness of the mascara and it's all over my finger. I feel like if I look in the mirror I'd have a huge black smudge on my face. Surprisingly, that is never the case. But, still… I do not like the all day tackiness. And I find the removal, with eye makeup remover, to be harder than with Lancome's product. Instead of using one pad per eye, I've had to use up to 3 pads per eye for removal and even then, residue remains. Overall, it could just be my mind playing tricks on me because I am so familiar and comfortable with Lancome's Hypnose Drama, but I much prefer Hypnose over MAC's In Extreme 3D.